Please ensure that your employees and areas have export codes. 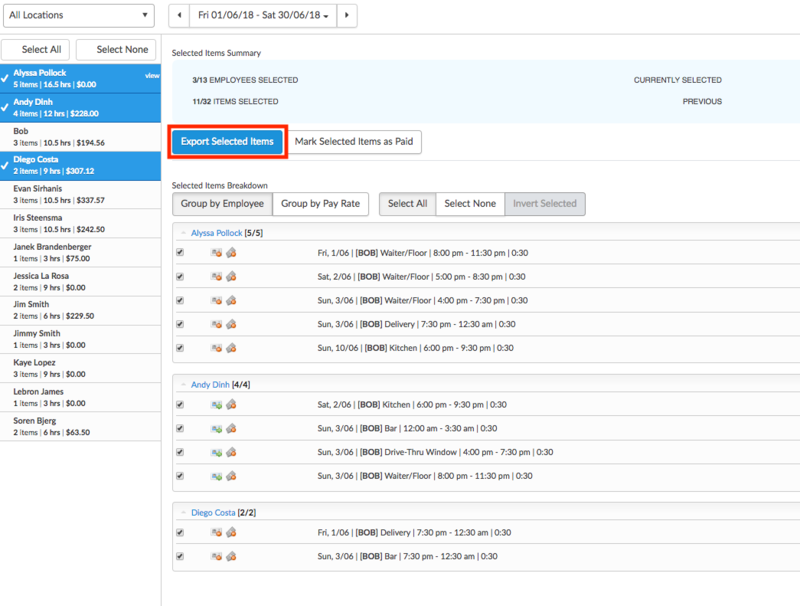 After you have approved timesheets, navigate to the Timesheet Export page. Select the timesheets you would like to export, then click 'Export Selected Items'. 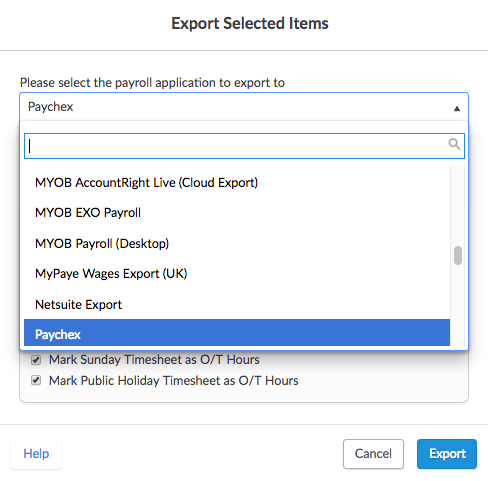 Now select 'Paychex' from the list of available payroll exports. Here, you can change the export file name. This defaults to the date range of the selected export. Click 'Export' when you are done. Click 'Download File'. Save this file on your computer where you can find it easily. 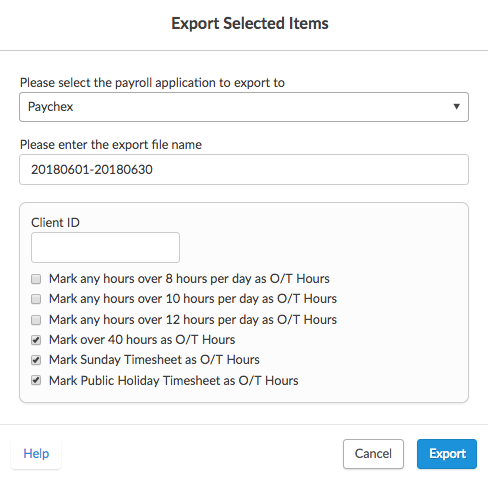 Using the downloaded file, import this file into Paychex.